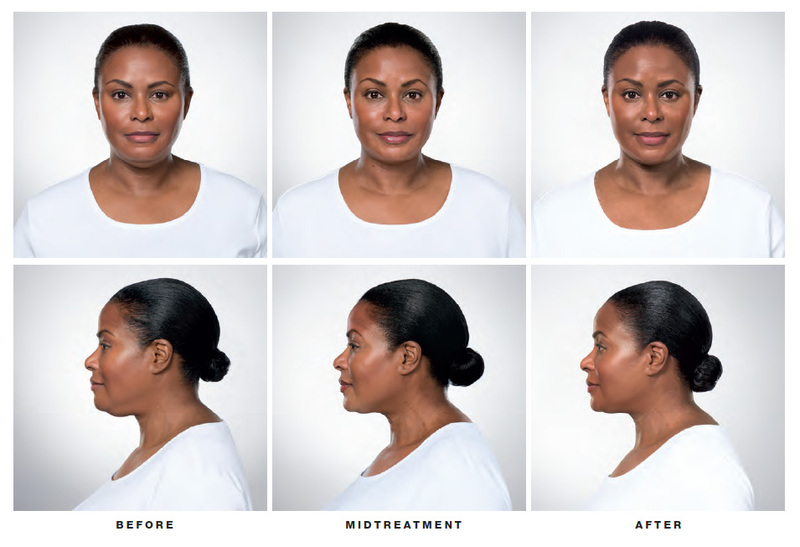 KYBELLA® is the only FDA-approved injectable treatment that destroys fat cells under the chin. If you don’t want to have surgery, eat well and exercise but your double chin doesn’t go away, KYBELLA® might be right for you. The active ingredient in KYBELLA is synthetic deoxycholic acid. Deoxycholic acid is a naturally occurring molecule in the body that aids in the breakdown and absorption of dietary fat. When it is injected into the fat beneath the chin, Kybella destroys fat cells, resulting in a noticeable reduction in fullness under the chin. A few treatment sessions will be necessary. But once you reach your desired appearance, and these cells are destroyed, they can no longer store or accumulate fat. So, further treatment is not expected.